It's really convenient to be organized to feel good in your life but it's even more useful, sometimes vital when you have very little time to yourself. Ever since I've made the decision to publish an article every day (with some exceptions I struggle to banish from my life), I've noticed how I need to be extra organized so I can keep planning several posts in advance. That way, I'm in no rush when it comes to publishing a post and that feels so much better - no useless stress. I had an interview yesterday with the company I absolutely want to work in for my sandwich-course. In my opinion it went really well and if they hire me, I'll have to be extra extra organized so I'm still able to publish a post a day. 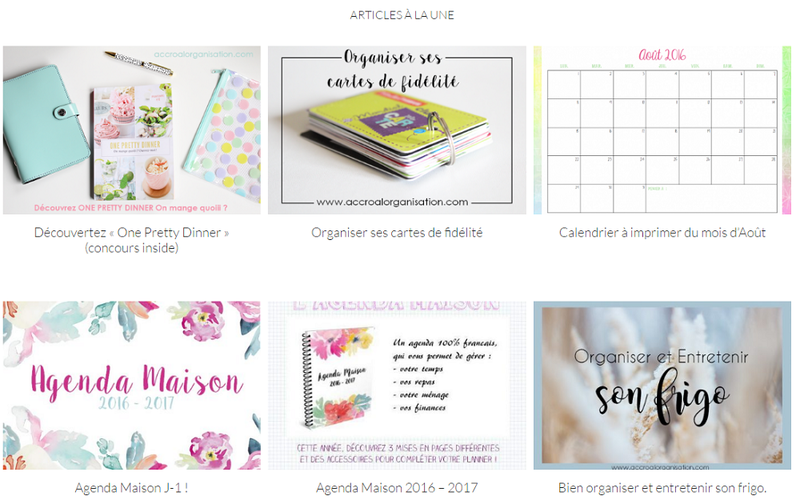 As my last Back to School episode, I've chosen to zoom on only one blog today, Magalie's blog called Accro à l'organisation (Organization Addict). 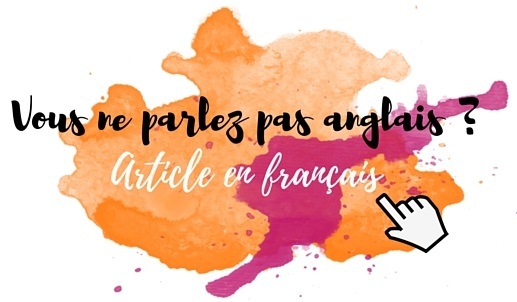 This blog is in French so I'm sorry in advance for there are probably things you won't understand on her blog - no worries, for most of her posts, her pics are explicit enough. Why did I choose Accro à l'Organisation as my Blog of the Month ? I can't remember exactly how I discovered this blog - I think I've seen it mentioned on another blog - anyway, Magalie's work deserves to be shared as widely as possible. That's a goldmine for an easier day-to-day life : if you're lacking organization, you'll find many, many tips on this blog. I've chosen this blog for several simple reasons : first of all, it's the most beautiful, complete and achieved blog that talks about organization I've been able to find. Magalie also has an online store called Joyeuse Organisation (Happy Organization) with some really cute stuff and international delivery : planners, a mug, stationary... More than a simple Back to School post, this is also a Back to Life article after the summer vacations : it's high time we develop really good habits ! 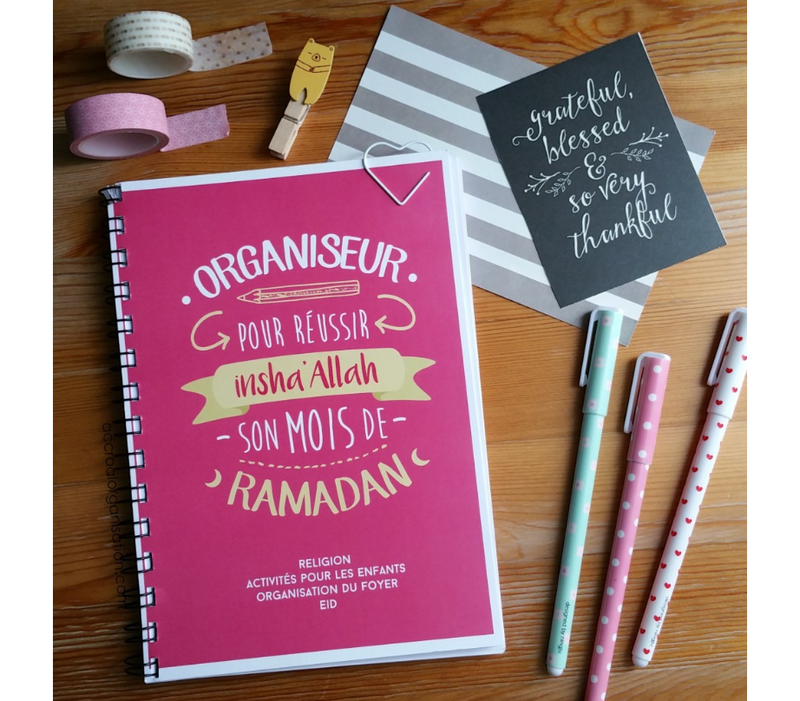 On Accro à l'Organisation, my attention was particularly caught by two posts : how to organize your loyalty cards easily and a list and crash test of Ramadan Planners. I'd have loved to share a Ramadan planner this year but it was already the middle of the month when I discovered such things. Magalie talks about them really well and I strongly think we should take advantage of other people's knowledge to improve our life. You'll find everything and anything on her blog : printables, tips for the house, the kids, the financial part of your life, sweet DIYs (I am really clumsy but many out there love DIYs)... I'm only sharing one blog this month so I'm sure you'll give it a go - Magalie deserves it and even though I've never even talked to her (only read her texts and looked at her beautiful pics in awe), her work is complete and fantastic, smart and creative at the same time : I'm in love. Do you know this blog ? Do you know other great organization blogs to make your day-to-day life easier ? Previous exciting posts on Tissam Est La !